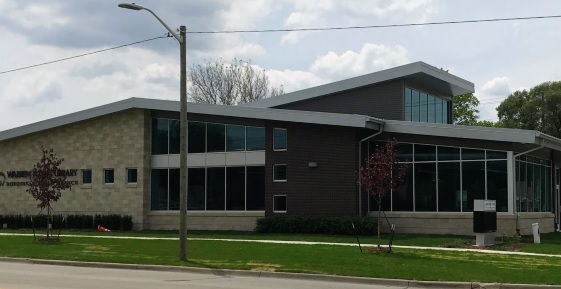 Warren, MI – The city’s first new library in Warren’s older neighborhood in 53 years re-opens on Thursday, June 22. The new Busch Library Branch is located on Ryan Road south of 9 Mile Road across from Fitzgerald High School. “This new branch library represents our administration’s commitment to rejuvenating our older neighborhoods,” said Warren Mayor Jim Fouts, who said another new library is planned for the 9 Mile-Van Dyke neighborhood that will be part of the complex along with a mini-city hall, mini-police station and new fire station. The new library includes the following features: 6,640 sq. ft. facility with LED lighting; 50-person community room with 36 computer access points; adult computer area with 24 computers; a 4-6-person study room with four computer access points and Wi-Fi connection. Refreshments will be served at the Busch Library re-opening and the public is invited. This entry was posted in Cost Savings Initiatives, James Fouts, Uncategorized. Bookmark the permalink. ← 1st New Library in 53 years in Warren’s older neighborhood re-opens.